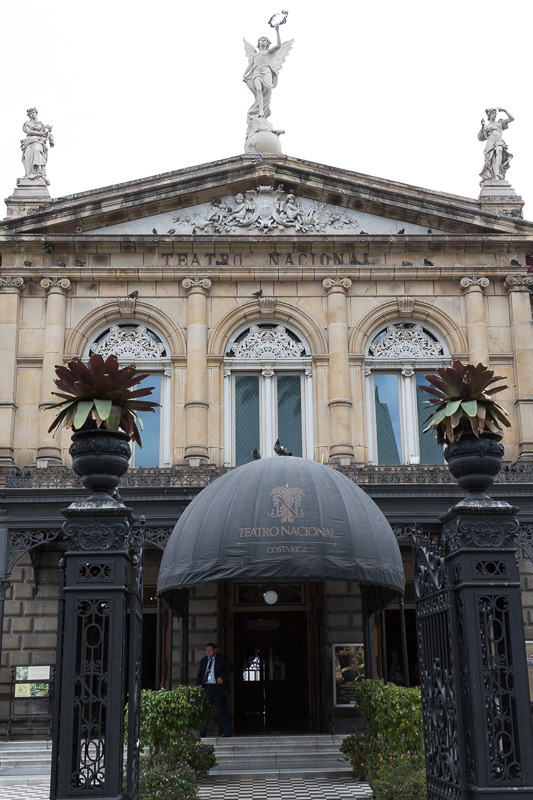 We stayed at the Grano de Oro Hotel in San Jose. This was the hotel in which we spent the very brief first evening. The hotel is quite pretty and the restaurant is very good – apparently a destination spot. On our full day in San Jose we were escorted on a city tour. Rose-Lynn had arranged for us to see the Jewish Museum. We had to send in our passport information in advance and information on our synagogue affiliation. When we got there we entered through a security gate and were met by a security guard who hung with us the entire time. A representative of the museum met with us and explained that the purpose of the facility was partly to explain Judaism to the school kids and tell them about the holocaust. The temple is orthodox and quite pretty and well designed. Also much larger than I thought it would be. The rest of the day was spent seeing San Jose. It is a city, much like any other city. I was quite surprised to see so many American fast food places including a Hooters by the University of Costa Rica. For some reason they ask you to be at the airport 3 hours before your flight. It took us minutes to check in and get through security so our experience does not explain the need for an early arrival. They do have a number of stores and food venues after security. I do not mind resting at the airport rather than at the hotel. I just relax more. We had also read about needing to pay a departure fee but apparently it was rolled into our ticket. We entered the United States through Newark. We had obtained global entry so we were TSA preapproved and were able to use the special global entry kiosk. It seemed to be well worth the effort to obtain.